Beaverdam United Methodist Church offers Small Group* for adults every Sunday at 10:00 AM (prior to the worship service at 11:00 AM). * A new Small Group will be starting on Sunday, April 28, 2019 at 10:00 AM. Discussion items for the first six weeks will be drawn from the book titled "Easter from the Back Side: A Different Look at the Story of Christ's Resurrection" by J. Ellsworth Kalas. The group will explore new possibilities of insight into the biblical Easter story with the goal of discovering new possibilities of meaning and gaining a new perspective, even for those who are most familiar with the Easter story. 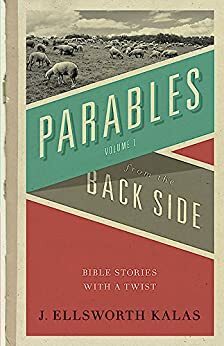 Starting on June 23rd, we will switch gears and move forward using the book titled "Parables from the Back Side: Stories With a Twist", also by J. Ellsworth Kalas. The group will seek a new understanding of twelve of Jesus' parables by viewing them through the eyes of a minor or unsympathetic character.